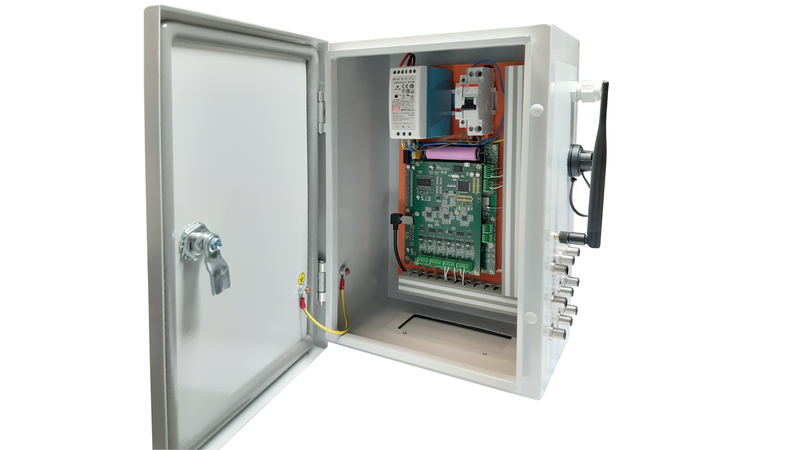 ES Systems has developed a complete smart system solution for condition monitoring of industrial equipment. The ESMS-ECM system features synchronous sensor sampling with wireless communication enabling optimal vibration and condition monitoring of equipment. The wireless capability enables installation at remote locations with minimal installation cost. ESMS-ECM supports WiFi and BLE 4.0 wireless protocols allowing installation and communication integration in existing wireless infrastructures. ESMS-ECM is the first condition monitoring system worldwide that supports wireless and synchronous multichannel data sampling, a necessary feature for vibration monitoring and frequency pattern analysis. ESMS-ECM can integrate any kind of sensor that communicates with 0-10V, 4-20mA, MODBUS-RTU, RS-232, Digital I/O, I2C. The data collected from the ESMS-ECM system are transferred to the cloud or to secure servers where end users can execute their predictive maintenance algorithms.